Users to sign in individually with the use of a secure pin code. Patrols to be scheduled online. The app will provide alerts to show when a patrol is due to start. 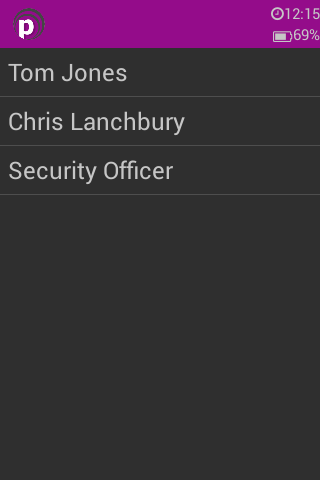 Display of the patrol list from within the app to highlight any areas still to be completed whilst on patrol. The system to be completely locked down to prevent unauthorised use or tampering of the handset. GPS coordinates tied to NFC tags to prevent misuse. Only pre-approved contacts to SMS message and call. 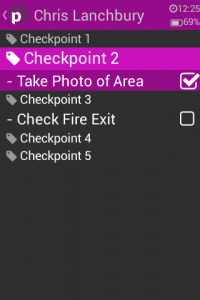 Tasks to be programmed to a checkpoint so that a notification is displayed on the app to give location specific instruction. 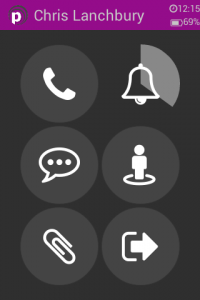 Advanced tasks can be viewed and completed from the handset. 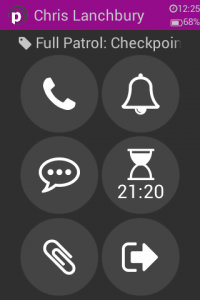 A notification on the handset alerts users that a task is pending. Information to be attached to the patrol while in progress by uploading images, text or sound recordings. 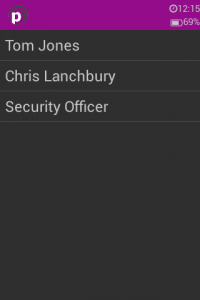 Panic alarm to send an alert in real time to the control room. Fully customisable and automated processes to assist with patrol management. The entire system to be configured online. Automatic synchronisation between the server and the app means that the operator is always working with the most up-to-date patrol plan. A full history of all patrols is available to view online. 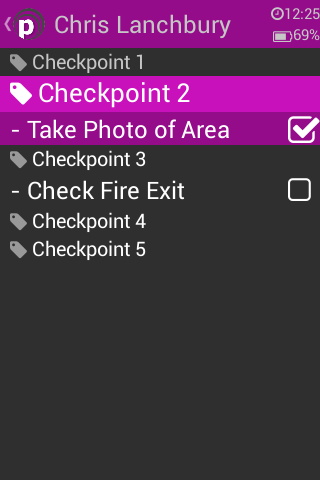 This displays completeness of patrols, the officer patrolling and any images, audio or text collected while on patrol. It will also show task completion for each patrol. Access rights on the server to be configured per user. Localities and user permissions can be set online to allow the grouping of sites or regions, and to grant access to users for particular sites as required. Live automatic emailing of images, audio and text notes. 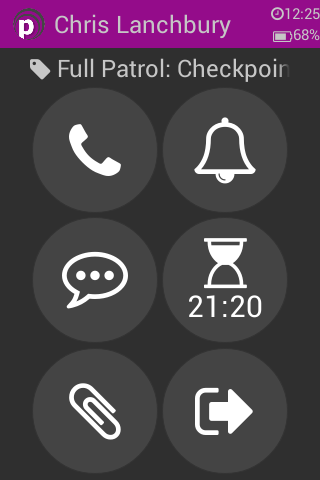 Customisable app shortcuts on application handset. Open your own apps from within the Partner, as well as fully customising the online interface.